With winter just around the corner, the Town Council has taken steps to ensure its snow removal efforts are robust. Last week, the council awarded snow removal contracts totaling $153,240 to multiple companies and services. The agreements budget $108,340 for 24 hours of snow removal services, inclusive of mobilization and demobilization for plow vehicles; and $44,900 for 24 hours of snow removal services, inclusive of mobilization and demobilization for heavy equipment. Five companies were awarded the contracts, which also spell out the type of equipment that will be utilized in the efforts. 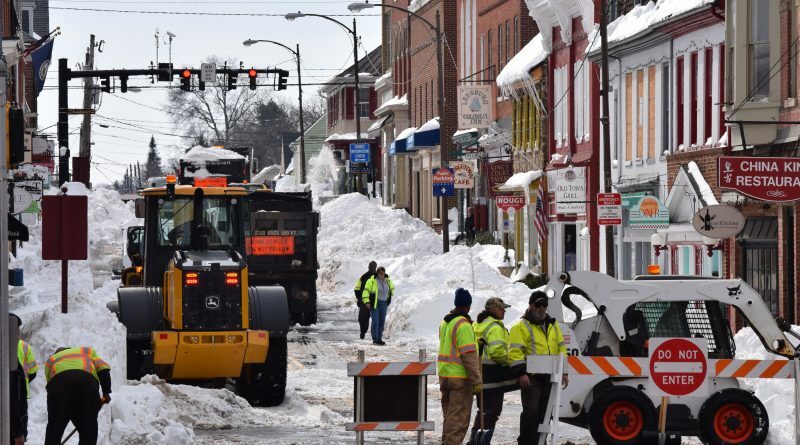 The town’s response to snow removal during January’s historic blizzard came under scrutiny from some in the public, and even those in public office. Many neighborhoods were still impassable several days after the last snowflakes fell, as the focus of initial removal efforts were on primary roads. Town Manager Kaj Dentler has long maintained that the focus was akin to what had been done in previous years, and that the town’s snow clearing efforts were no worse, and in some instances far better, than other Northern Virginia jurisdictions. According to a staff report, the amount to be awarded exceeds what was budgeted for in the FY17 budget. The additional $85,240 will be taken out of the FY16 General Fund surplus, but moving forward the full contracted amount will be included in the FY18 budget.